Liberal ideas of “moral superiority” hold no weight when the Unites States condemns others for “human rights violations” while simultaneously firing hellfire missiles at American citizens. The United States easily gets away with the murder of non-American citizens, including noncombatants, but it is obvious now that the United States can kill its own without condemnation. This is not a war on terrorism, it is a war of the First World against the Third World. This was not collateral damage either. Awlaki was not the tragic casualty of a carpet bombing. Awlaki has been deliberately targeted in the past. His death was at the hands of two predator drones. Not only was he targeted, but his murderers were hundreds of miles away, deliberately ending his life as if it were a video game. Predator drones are the newest dehumanizing weapon in the imperialist arsenal, successfully separating assailants from their victims both physically and emotionally. This is an instance of the United States violating its own self-serving “legal code” and sense of morality. The United States only upholds its laws when those laws suit the needs of imperialists. Awlaki’s rights didn’t assist the needs of imperialists, but the rights of Sarah Shourd, Shane Bauer, and Josh Fattal in Iran certainly did. The United States was quick to denounce the Iranian government for “violating human rights” but allegations against the United States fall on deaf ears. The imperialists will stop at nothing to exploit the Third World masses. Not only will they kill and remove all that oppose their rule, like Saddam Hussein, Muammar Gaddafi, and Osama bin Laden, but they will even kill their own citizens without arrest, charge or trial. Imperialism knows no categorical imperative, only death and destruction. The United States claims to uphold law and order. They claim to fight the good fight. The reality is that they plunder and murder wherever it is strategically convenient. The United States will never win the “war on terror,” they will only use it as an excuse to continue to exploit the 5 billion people of the Third World. They will use the war to continue their consumerist lifestyle. The First World bleeds the Third World. 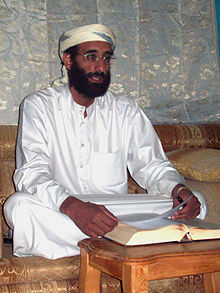 Anti-imperialists like Awlaki are many, and where one falls, another picks up his gun and continues fighting. We uphold the broad united front. The global struggle will have casualties, but our allies outnumber the assassins. We will win. There is a revolutionary saying that the physical atom bomb is no match for the spiritual atom bomb. No amount of predator drones will ever hold down the spirit of the masses. Leading Light Communism will lead the way to a world free of oppression. Muammar al-Gaddafi dead – What does this mean?